Many people, when they are depressed or grieving, go TV channel-surfing or bury themselves in a novel. I spent a lot of time this summer, after the death of my son Thomas on June 1, surfing Unitarian Universalist sermons on YouTube. And I became a fan of the Rev. Dr. Marlin Lavanhar, senior minister of All Souls Unitarian Church in Tulsa. He reaches deep inside me. Marlin went on to suggest that many of us have beliefs and practices that we keep closeted from our UU communities for fear that they’ll be labeled ridiculous. Because our churches have no test of faith or belief, we could have an incredible diversity of believers at the table, but my summer of sermon-surfing has led me to believe that we UUs have become more comfortable talking about the anti-coal petition and the Black Lives Matter rally than the articles of faith that lead us to those places – those causes – and that guide our lives. In the weeks and months after the loss of a loved one, it’s natural to reexamine one’s belief system, hoping to make a case for a continuing connection with the departed. That finding such a connection is, perhaps, a convenient truth, doesn’t make it false. So I’d like to talk a bit about Thomas and the Unitarian Universalist faith before returning to the subject of closeted beliefs. As Carol and I have read things Thomas wrote years ago and thought about his life, we’ve seen suggestions that he sensed he might die young. While still in high school, he ended a Mother’s Day poem for Carol with the lines: “Mother’s love will never leave us / So never will we truly leave her.” Sometimes, he seemed to be preparing us. Thomas’s first tattoo was an outline of the state of Virginia, and then his second was a phrase in Latin on the underside of his right arm: Forsan et haec olim meminisse juvabit. Perhaps one day it will be pleasant to remember even these things? 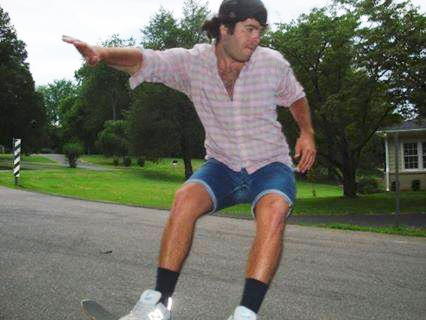 …And this year, nine days after my 69th birthday, I lost my son Thomas to a skateboarding accident. I can tell you that each one of those traumas was a great teacher, but I can’t find one pleasant thing about any of them – even the passage of 44 years has failed to make Alice’s death…pleasant. What was Thomas trying to say? He was a studious researcher, so I’m sure he knew the lines that come next, which I did not know about until writing this sermon. Virgil says of Aeneas, the speaker: “He feigns hope in his face. He stifles the deep grief in his heart.” That Latin phrase was Thomas’s sophisticated version of putting on a happy face. 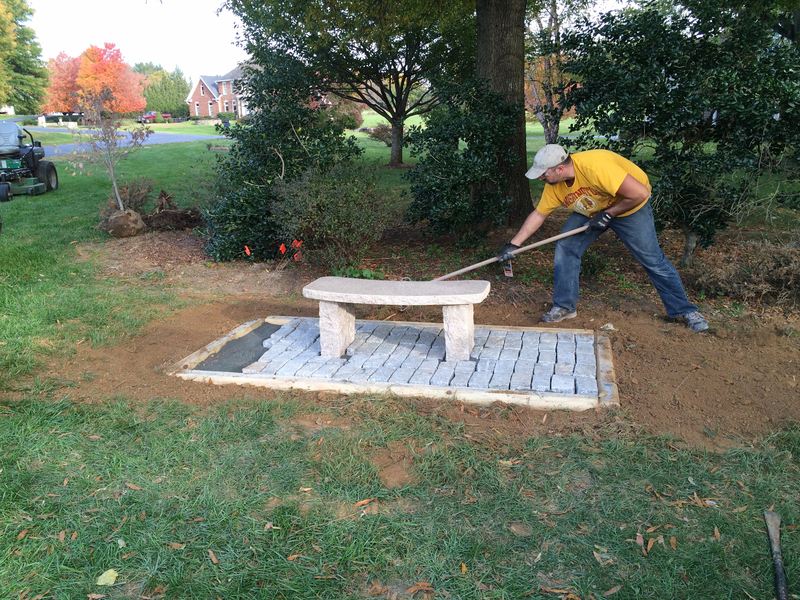 Neighbors installed a bench in Thomas’s memory at the corner school-bus stop. Thomas and I didn’t have a history of connecting well when he was alive. But at 1:50 a.m. on June 1, I awoke with a level of anxiety more intense than anything in my memory. I checked the time because I was reluctant to take an anti-anxiety pill too close to when my alarm would go off. But I felt as if I’d have no shot at falling back to sleep if I didn’t. That time, 10 minutes before 2 a.m., is the time of death on Thomas’s death certificate. It’s comforting to me to feel that we were that connected after all. Like many people recovering from tragedies, I wanted to become a better person and make something good come out of it. Although Thomas was never a fan of church, I felt called to help make Unitarian Universalism better, as egotistical as that may sound. I knew how important religion was to me, and I wanted to pay it forward to religion. Maybe I couldn’t do much, but I would do what I could. So I read, I listened to sermons, I engaged in dialogues. I tried to take a fresh look at this faith, sensing that it was lacking something. As both of our co-ministers – John Manwell and Phyllis Hubbell – have said in recent weeks, many religions have been going through difficult times over the last 15 years or so, and need to figure out new ways to reach people and remain relevant. Unitarian Universalism can help so many more people than it does. That subject deserves a sermon of its own, but I’ll spend a couple of minutes on it. In membership numbers, our faith is stagnant, and the membership increasingly looks more like me than like Eric Groo or Jenna Korff – old and tired. When the Unitarians and the Universalists merged in 1961, the new combined association had slightly more than a thousand churches with slightly more than 150,000 members. In 2014 we had slightly more than a thousand churches with slightly more than 150,000 members. Those are the adult members. At the same time, enrollment in our religious education classes went from 77,546 to 49,991, a decline of 36 percent. That’s what happens when the members look like me. Over roughly the same period, the Mormons grew from 2 million to 14 million. U.S. Catholics went from 49 million to 80 million. Southern Baptists from 11 million to 15 million. Meanwhile, the more liberal religions are losing members. But I am certain that people have not stopped needing us. Phyllis, John and many other ministers these days point to new ways of communication – text messages, social media, videos, podcasts – and they may be part of the answer. But I believe, as I indicated in the reading, that there’s a deeper issue. Please understand that I don’t mean to be critical of any individuals here. My remarks are about UUs nationwide, and that includes all of us. We’ve forgotten that people come to church for spiritual healing, and we make church uncomfortable for folks who don’t listen to NPR, who don’t hop on the liberal political bandwagon du jour, and who just might want to talk about God and saying hello to a 3-year-old in heaven or a 29-year-old in the cosmic soup. We’re blind to the things we do – the assumptions, the jokes, the snide comments – that keep us in our exclusive cocoon. I know a member of the 1 percent who studied for the UU ministry but feels unwelcome in our churches. Over the years, we’ve had training programs to help us be more mindful of how we might seem unwelcoming to gays and to blacks. Where are the programs to help with Republicans, devout theists, the 1 percent? Two were John Adams and John Quincy Adams. 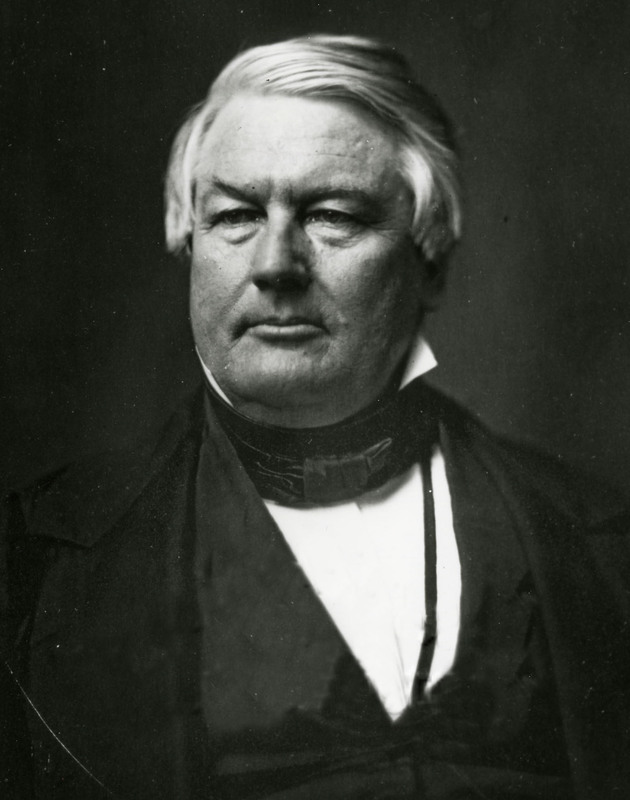 Another was Millard Fillmore, who supported the Compromise of 1850 and Andrew Johnson’s Reconstruction policies. His Wikipedia entry says many historians consider him to be among the 10 worst Presidents. And, finally, there was William Howard Taft, who helped conservatives gain control of the Republican Party from Theodore Roosevelt. We love to talk about the Universalist churches that believed in salvation for all, including African-Americans, but we never mention the many that did not. Among people who identify as Unitarian Universalists, in 1990 there were two Democrats for every Republican. In 2008, just 18 years later, the ratio was 11 to one. Even the proportion of independents shrank in those 18 years, although not by nearly as much. And I don’t mean to talk only in political terms, but – and this shouldn’t surprise you – it’s far easier to find out how many of us are Republicans than how many believe in a God who performs miracles. Those people do exist, but they’re even more closeted than the Republicans. The fastest-growing religion in the Unites States is Wicca, which now has about 50,000 more registered members than we do. Twenty years back, the UU church was an attractive sanctuary for the growing number of Wiccans. Many of them are gone now, just one example of people who apparently did not find us truly welcoming to all sincerely held belief systems. Maybe I’ll return to this subject in a sermon later this church year, but now let me share some of my beliefs so they won’t be closeted, in the hope that my words invite you to bring yours out into the open. Since early September I’ve been writing daily posts in my blog, melsmouth.com, and after a few weeks I realized I was living out Thomas’s legacy. I often feel him with me as I write. I believe in God and miracles, but not as described in the Bible. I believe that God is a name we give to a force we don’t understand, a force that emanates from everything in our world. I believe that, as the Buddha seemed to figure out 2,500 years ago, everything is made from the same subatomic particles, which I call cosmic dust, and our cosmic dust particles are forever dancing with each other and flitting from one being to another. I believe that the dancing cosmic dust sometimes creates a means of communication and an energy that result in paranormal activities, or what we might call small miracles, like getting a message from a loved one no longer alive. I suspect that quantum entanglement – a phenomenon that has been experimentally confirmed – helps explain the force I’m calling God, but I don’t know, or care, whether science will ever understand it. Quantum entanglement is the idea that two particles, once linked, continue to have an instantaneous relationship no matter how distant they have become from one another. Another name for that force I believe in is love. I honestly had never given much thought to Unitarian Universalist messages until reading your writings, Mel, and I am grateful to have come across them! My only previous exposure to UU was a few co-workers who I knew went to a UU church. They are also vehemently liberal democrats. I never consciously linked the two, but maybe your suggestions of being more open to others who may not be NPR listeners has traction. I was thinking of you, Amie, when I mentioned the cosmic soup. I thought of introducing your idea of starlings but decided to stay with my cosmic dust. I’m not the only one in UUism who is seriously concerned about the narrowness that we unconsciously maintain, but it takes a lot to move an institution. I’m trying to do my part. UU churches vary a lot from location to location. If you don’t mind, send me a message via my Contact Mel form and let me know what part of the country you live in. Thank you so very much. You’ve identified some very important areas to talk about. I believe when we return Unitarian Universalism to growing a soul, rather than healing our world, we will have something to offer and a powerful platform from which to do that. May it be so. And I am so moved by your loss of Thomas and wish you healing and strong memories. Maybe it is his cosmic dancing that pushed us together this weekend; if so I am grateful, Thomas.